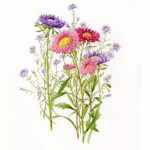 Membership is open to anyone over the age of 18 who is interested in botanical illustration. We accept all levels of ability, as our aim is to encourage and inspire members. Members are given the opportunity to exhibit their work and to sell cards and prints of their work at events supported by the Society. For further information go to the contact page. For further information about current membership/friends fees, please click here to contact us.